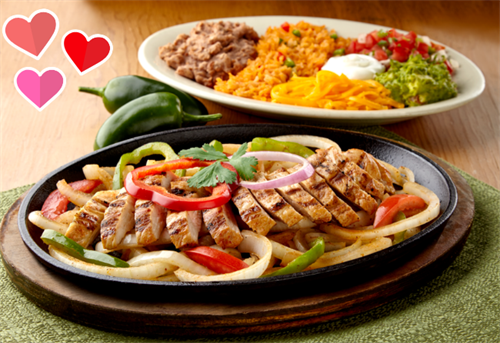 Website: http://El Fenix has Chicken Fajitas for Two for only $19.99 on Valenine's Day! Visit ElFenix.com/Offers on 2/14 for details. Visit El Fenix in Lewisville on Valentine's Day and receive Chicken Fajitas for Two for only $19.99. Visit ElFenix.com/Offers on 2/14 for the coupon to show on your phone to redeem.